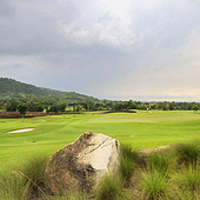 I remember as a kid picking up a copy of Golf Monthly and reading a review of the Rose Garden Golf Club in Thailand by Peter Allis, his words inspired me to want to play there one day. Alas I missed out on playing the Rose Garden, but it’s a destination that I will be going back to and one that I would highly recommend to you. “Golf in the Kingdom” as it is being labelled is more than just playing golf, it’s an experience all geared to give you the best golfing holiday you will experience. 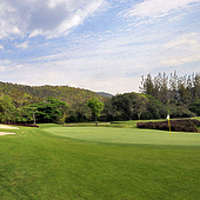 You could be a couple who enjoy playing golf together and looking to playing some great tracks and staying in beautiful hotels with spas and plenty of history or in a tour group, who want to experience the golf and nightlife. Thailand offers you everything. Throw in the hour-long foot massage for £7, including tip!! Which you just have to experience after a round of golf and it’s the perfect recipe. No wonder Thailand has become a destination that sees tours and couples going back for more. 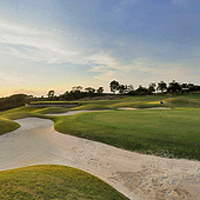 Everything in Thailand is geared to giving the golfer the best possible environment to enjoy their golf, from the well designed manicured tracks that always seem to be in their best condition. The beautiful caddies that are mandatory at all courses, but you really couldn’t do without them in this climate. The friendly welcome at each course and the fantastic service they offer, add all this to the cheap green fees and the price of food and drink (outside the hotels) and you have a destination that will see you going back to explore different regions of this wonderful country.